Gasoline was in supply at several service stations around the city and along the East Bank of Demerara yesterday, although motorists continued to find long lines at GuyOil stations. 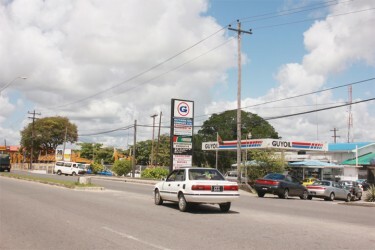 During a visit to several stations around Georgetown, it appeared that the preceding days’ gas shortage was at an end. At the Rubis and Sol stations on Vlissengen Road, it was business as usual. A Sol Gas Station pump attendant stated that he didn’t experience any lines and he thought the supply was back to normal. Motorists lining up at the GuyOil Gas Station on Sheriff Street to purchase gasoline. At the GuyOil Gas located on Sheriff Street, however, there were extended lines. In the preceding days, motorists were scampering from one station to the next in search of gasoline, after shortages forced several dealers to temporarily suspend their operations. 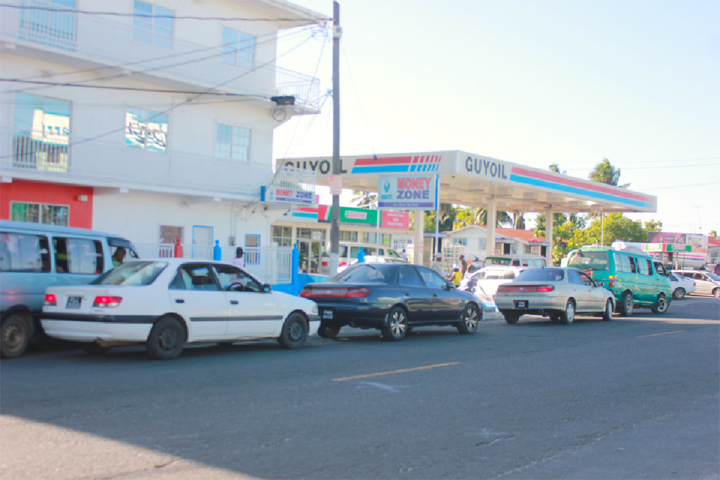 Drivers were seen in long lines for extended periods at various gas stations to obtain fuel and in some cases their purchases were restricted. Stabroek News had been told that the shortage being experienced across the country was as a result of issues with Venezuela’s refinery in Curacao. Tony Kawalchinku, who buys at the GuyOil Gas Station at Providence, yesterday stated that he continued to find lines at some gas stations. He added that the gas shortage severely inconvenienced him on Saturday as the lines were so long that he had to opt to refill another day and constantly worried if he had enough gas to reach his destinations. Another customer, Seepersaud Baljeed, didn’t think that the shortage was over as he continued to meet lines at some stations. Baljeed, who had to visit Essequibo, said that he kept worrying about his gas running out while he was driving to Parika because he couldn’t refill at a gas station due to the shortage on a previous day. “Every time you have to go line up,” stated another GuyOil Gas Station user Michael Edward. He complained that the pump attendants didn’t inform him of the situation and it caused him some inconvenience. Another line at the GuyOil station at Providence.